Reinforced construction- stronger hinge, more durable and anti slip rubber feet. Completely redesigned and engineered from the ground up to be stronger, more stable and store flatter. 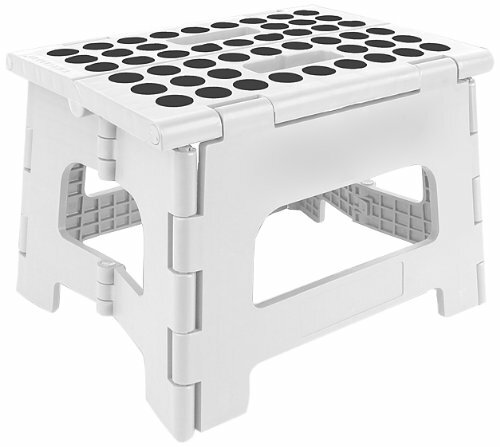 This stool is certified tested to hold up to 300 pounds flat weight. Great step up for in the kitchen, bathroom, RV's, children and more.